Looking To Get A New Website With WordPress? Get One Here! 1 Looking to Get a New Website? If you want to get a new website and are looking for someone to create a new WordPress Website for you, I can offer the following service for individuals, partnerships, companies, etc. It is just a basic website to get you started and have a presence online. I can keep the cost down by combining your skills and my skills together. You are the one that has the knowledge of your business or what you want on your website and getting you involved with this will not only make your website better, it will also keep the costs down too. I have made a list of the responsibilities of each party below and when we work together, we can achieve exactly what you are looking for. once you have your domain name registered, activated your hosting and chosen your responsive theme, then I can start work on your website when you forward these details to me with your username and password. I will convert your website structure into a WordPress website, which is the same type as the majority of new websites are constructed with, as they are good for all types and functions and are extremely effective for search engine optimisation. I will create new Pages on your website for Contact, About, Privacy, Blog Page, HTML Sitemap & Main Index Page. I will need your input for content on the Contact, About and Main Index Page. I will add a WordPress plugin to help you with search engine optimisation (SEO). I will create a Cookie Notice to keep you compliant. I will add any pictures/images you send to me, as directed. I will make sure all of the settings are correct on your website. I will create an XML Sitemap and submit it to Google so as they start indexing your website and start showing it in their SERPS. the website will be fully responsive and will be able to be viewed on desktop, tablet and mobile phones. I will then hand over the website to you with instructions on how you can add to and modify each section. choose a domain name – this sounds very official, but it just means choosing a name for your website and then seeing if it is available to register under your name. If you take this link to Siteground, you can check for free what names are still available. If you need help or guidance with this, I am here. choose the hosting package for displaying your new website. 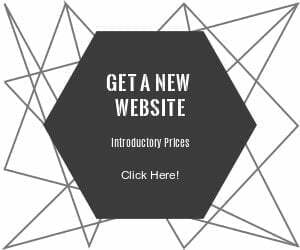 Prices on Siteground start from only 2.75 per month which is ample to get started with. Hosting is just the main computer that holds your website in one place and is connected to the internet. you need to decide on a responsive theme for your website, which is just the look and style of it. There are many good free WordPress themes available and it just depends how you want it to look and what you want the website to do for you. I can give some guidance on this and you can have a look at the MyThemeShop website for their free themes to get an idea of what is available. I will need your input for content on the Contact, About and Main Index Page. The Contact page will be you name, address, phone number and email address. The About page will be just that; explaining what the website is about. The Main Index page is the most important one and you should write at least 500 words for this one. This will be all about what you will be promoting using the website and should cover all the aspects you will be marketing. The above may all sound daunting, but moving one step at a time can make it happen quite quickly. I am sure you have searched already to see what is available from others and at what price too. I just did a search on Google there and there seems to be a wide variety of prices for basic websites, some even reaching 4 figures too! If you want to proceed using the above plan, I will charge a total of £200 all in. £100 payable initially and the balance of £100 payable when the work is completed. Just drop me an email to: [email protected] with your request and we can then get the ball rolling. You can also follow my guide to starting your own website too.